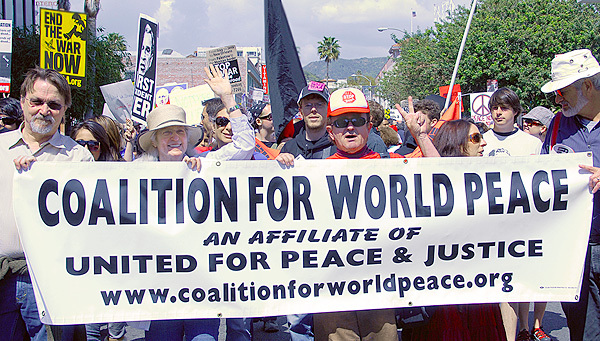 The Coalition For World Peace banner at the March 15, 2008 Hollywood march. Marian Gordon and Don White in the center as the Coalition For World Peace banner is carried through the streets of Hollywood for the March 15th 5th Anniversary anti-war March. CFWP was an endorser and sponsor of this ANSWER action.